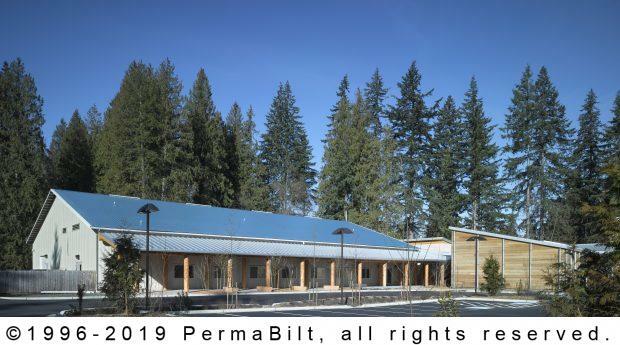 This commercial steel building was built for the Tulalip Washington tribes to store their numerous precious museum artifacts. Some of those artifacts would eventually be displayed at the Hibulb Cultural Center although at the time this was built, the Cultural Center had not yet broken ground. We worked with the team from Tulalip to design the building that would best suit their short and long term needs. 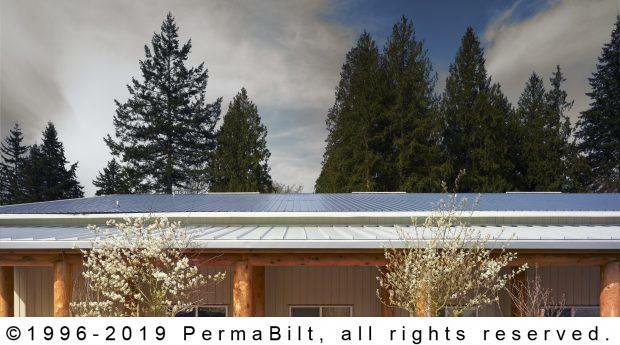 PermaBilt has built other buildings for this customer in Tulalip, however this commercial steel building was impressive for not only its looks, but its overall size in general. It measures 84’ x 124’ x 16’. The massive structure contains (15) approximately 6’ x 4’ framed openings. (4) 10’ ridge vents adorn the peak of the roof. 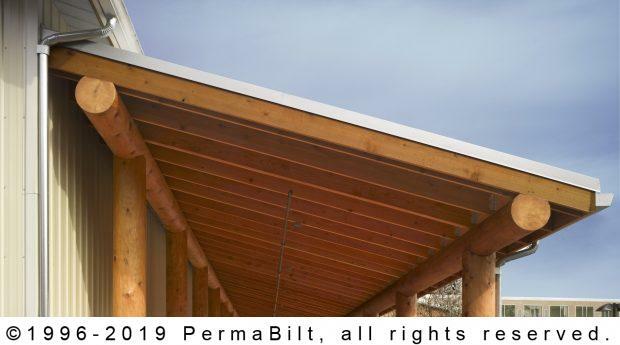 Most of PermaBilt’s overhangs measure 18”, this one’s full perimeter overhangs measure 24”. A 10’ x 10’ insulated commercial roll-up steel garage door is also in place. 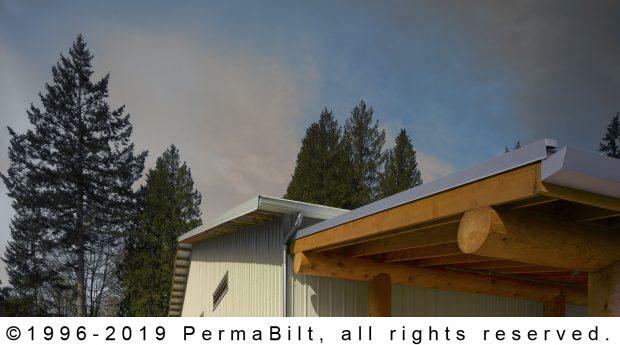 After we completed our work, the customer installed the beautiful log supported walkway to give it a true Northwest feeling and conducted a traditional Native American blessing ceremony for the buildings.